The effort to recall an event which took place more than six months ago brings to mind a succession of confused and unconnected memories which have somehow to be moulded together to form a coherent recollection of this important milestone in the dramatics of the Salvatorian College. Shakespeare, is, at any time, a challenge. It is clearly more (if a challenge to a school than to a professional company because of the difference in the quality of the acting the facilities available and pecuniary resources. However, nothing daunted, rehearsals began in the Autumn of' 1965. It seems odd, now, looking back, that the character chosen for the part of Lady Macbeth at that time should have eventually ended up playing Macbeth. But the character in question, namely yours truly, gave his best impression of a hoarse bullfrog at the first auditions and immediately convinced the somewhat startled producers that Lady Macbeth although a woman of' dauntless character could not be portrayed in	such a vein, without half the audience being reduced to screaming hysterics in the aisles. This ruse almost landed A. Welling commonly known as "Bert" - with the part but he eventually played Macduff, much to his relief. For Lady Macbeth, P. Herbert was called up from relative obscurity to his first major part. His previous appearance, and introduction, had been in the Christmas Festival of Plays, as the agent of Satan in "Let's Be Devils", the play which won the festival and was presented on Speech Day. This was a gamble, and a big one. Lady Macbeth is, in some ways, the key figure in Shakespeare's play. She is the one who goads Macbeth into the murder of Duncan, and without the nagging, prompting and persistent efforts Macbeth could never have been induced to commit the murder. Thus a great deal rested on the shoulders of P. Herbert. before the confidence and expression could emerge, a certain ease of movement and a relaxed pose had to be cultivated. 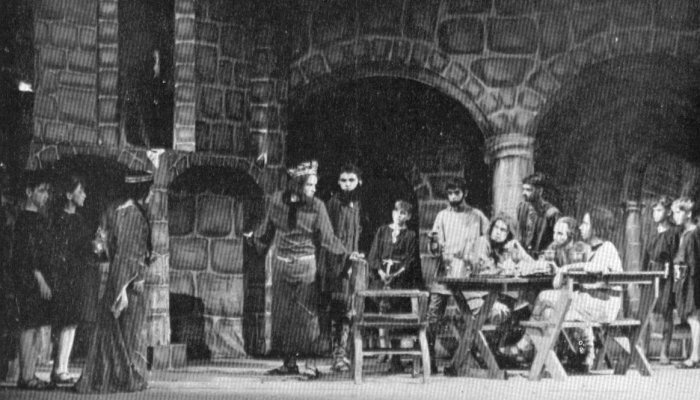 Under the critical scrutiny of Mr. Tufnell and Mr. Crawford, the play's producers, a remarkable improvement was achieved in a very few months, which allowed Herbert to give an incredibly good portrayal of Lady Macbeth. This is biased view; I's ashamed of myself. But it was a great performance. Macbeth is one of Shakespeare's greatest tragedies. But, there is remarkable humour in this play also - at least so our rehearsals led us to believe. The witches would emerge creepily from the wings and circle slowly and evilly round the pot. Then suddenly these three mysterious beings - Ferry, Kolakowski and Inglese would burst crazily into the lines of a song from a well known soup advert. 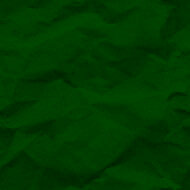 Nor is it difficult to guess which. After a little, enter Macbeth. This is Inverness Castle and Lady Macbeth holds in her hand an important letter. Through an arch 5¾ ft. high comes Macbeth - all 5 ft. 6 ins. of him (with six inches added to his height by a coal-scuttle helmet). The more discerning mathematicians amongst you will realize the 6 will not go into 5¾ and the result is an arresting crash, and a puzzled Macbeth makes an undignified and premature exit in pursuit of an errant tin coal-scuttle. With the helmets came the swords, and gleeful stage crew and younger actors - the older ones had to have some regard for their dignity were, to their disappointment, cut short from massacring each other by a severe injunction from the two producers, one of whom immediately inflicted the first casualty of the rehearsals by cutting Macbeth's knuckles in an over-enthusiastic display of cunning swordsmanship: and when you're wielding a monstrous Scottish short sword - believe me! that's cunning. He said he was showing Macduff how to fight. But Macduff needed no introduction, as Macbeth's dented helmet will confirm. The battle scenes were even better or worse. That depends whose side you're on. The worthy producers saw hordes of vindictive but enthusiastic third-formers (mostly) flinging leafless twigs - remains of Birnam Wood, (not Borehamwood, as some wags would have it) - flinging these leafless twigs, as I said, to the four winds. There followed frantic activity onstage, during which the badly-worried producers said fervent prayers that only the three pre-arranged "bodies" would remain after the melee. Inevitably, came the rehearsal when a fourth body was seen sprawled in a door way. Doctor, hospital, priest and parents flashed crazily through the cart-wheeling brains of the distraught producers as they plunged stagewards. They rushed to the imposter, and turned him over gently. It was a standard-bearer. The poor little lad smiled wanly. In halting sentences he explained that escaping through a three-foot wide archway is a wee bit difficult when you're carrying a five foot standard horizontally. He had, understandably, fallen over it, but still bravely clinging to his charge, he decided to lie doggo, as to see a young corpse scramble to its feet, disengage a pole as big as itself from a doorway, and charge from an empty stage like a straggling lancer, would be too much even for the most serious-minded audience. 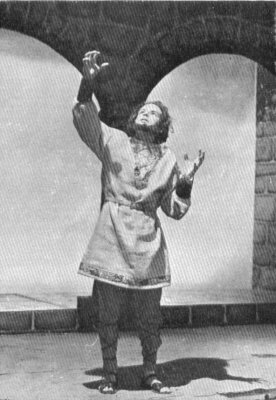 Bravely the producers persevered through all adversity, even when Macbeth, making a dramatic exit during a matinee performance, inexplicably fell flat on his own foolish face at the top of a stairway, and had to limp to the dressing rooms for first aid, dangling a lifeless toenail. The audience had a wonderful view of Macbeth's sudden disaster. It looked as if he had been yanked offstage at the last moment. Macbeth blamed a faulty stairway, the stage manager blamed Macbeth's big feet. Chris Clubbe gave a good and reliable interpretation of Malcolm, and for some reason many other Upper Sixth formers discovered a hitherto hidden talent for acting Shakespeare. With a cast of more or less a hundred (changing after each battle scene) dressing rooms tended to be a bit on the crowded side. This did not prevent Fr. Louis being painted like a mad redskin by frolicsome stage crew let loose with Mr. Tufnell's box of crayons. There is always a danger of illness ruining a play produced, as ours was, with no understudies. Therefore, the long-suffering dynamic duo of Mr. Tufnell and Mr. Crawford found it somewhat difficult to forgive Macbeth for a vicious downward swipe "Lay on, Macduff," which almost amputated Bert Welling's (Macduff's) fighting arm. As it was, it took some skin away and sliced a perfectly good ancient Scottish tunic. This duel was always a dangerous affair, but apart from a few airy swipes, mostly steel met steel with frightening ferocity, so much so that at one hilarious matinee Macbeth rattled off with straggly hair plastered all over his face helmet awry, and with an appreciative audience hooting away (with laughter) in the background, - with a bent sword. Apart from this the duel was without incident each night until the last. Then Macduff missed a step and plunged over the far side of the staircase and Macbeth was left retreating up the stairs cursing eloquently and brandishing a sword at nobody in particular and everybody in general. But such was the force of Macduff's recovery that he propelled himself back on to the stairs with such velocity that he almost brained Macbeth, who was now standing just off-stage, being even more eloquent to all and sundry. Another cause of amusement was the spectacle of Macbeth's bloody head "painted upon a pole," being mocked by the rabble, even though Macbeth himself, whole and entire, was gaily waving to them from the wings. This ghost was substantial enough to appear for the final curtain, however. 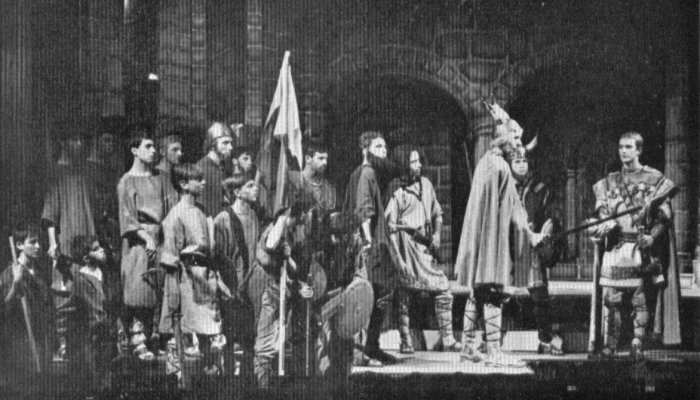 Perhaps the most long-suffering actor in the play was Banquo, played by Rob Silver in his own inimitably evil style, who, rehearsal after rehearsal, performance after performance, was set upon by Hubbard, Nawrocki and Morrison in the guise of three of the King's Own Scottish Murderers, Beaten, stabbed, thrown to the ground, dumped unceremoniously into a two-foot "ditch" behind some rostra, and was left to crawl through the debris of stage props and scenery under the stage and emerge to be made up as a ghost for his dramatic entrance at Macbeth's banquet. For this he clung precariously to a narrow platform, and grinned ghoulishly down at a terrified Macbeth who was vainly trying to work himself into a frenzy in the face of the said Rob Silver, who in turn was giving his best impression of Mona Lisa in an off moment. Apart from this, the play was an immense success for the actors because, once and for all, it brought Shakespeare to life. Nobody will ever feel quite the same about Shakespeare again, one way and another. Certainly our intrepid producers won't. Spare also a passing thought for poor King Duncan, without whom all this would not have been possible. This was Patrick Devlin at his regal best, killed off after one Act, and forced to stay in make-up and itchy wig until the final curtain. Talking of itchy wigs, I would like to finish by saying that if the audience enjoyed our efforts as much as we did ourselves - half as much as we did ourselves - then we can all die happy, and our brave and loyal producers, our happy make-up gang, our wardrobe and upholstery supervisor and all their merry band of assistants can come out of hiding and do King Lear, or something relaxing like that.